This is the second update for 2014 on contributions to our Word Box, the website feature you can use to alert us to new or unfamiliar words and phrases. These contributions allow us to identify new material for our general Australian Oxford dictionaries and also for our archive of Australian words. We like to share our recent findings through regular updates. We thank everyone for their submissions and encourage you to contribute—just click on the Word Box image to the left to post your word. A few of the more interesting contributions from the last three months are discussed below; some are new to us, and some we already know. We welcome any comments about your understanding or experience of these words. Shaggledick – Mountweazel or ‘dictionary word’? A recent contribution to the ANDC Word Box was the word shaggledick. * The contributor provided two dictionary references for this word and suggested that it may be a ‘Mountweazel’ word. A Mountweazel is a fictitious entry deliberately added to a reference work. The term was coined by the New Yorker magazine and named after a fictitious entry for one Lillian Virginia Mountweazel in the New Columbia Encyclopedia (1975 edition). According to one of the editors: ‘It was an old tradition in encyclopedias to put in a fake entry to protect your copyright… If someone copied Lillian, then we’d know they’d stolen from us’ (New Yorker, 29 August 2005). This is the second instalment in our regular updates about contributions made to the Australian National Dictionary Centre’s Word Box. We invite members of the public to alert us to words and phrases that are either new to them or used in an unfamiliar way by submitting them to our Word Box. These contributions allow our editors to identify new material both for our general Australian Oxford dictionaries and for our archive of Australian words, and to share these findings with you. 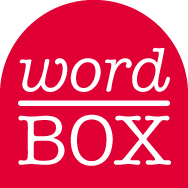 We thank everyone for their submissions and encourage you to contribute to Word Box – just click on the Word Box image to post your word. A few of the more interesting contributions from the last three months are discussed below. Some we have come across previously, and some are new to us. We welcome any comments about your understanding or experience of these words.